Idaho Law provides veterans’ preference for individuals who have been in active military service (other than active duty for training). When eligible, veterans’ preference points will be considered for initial hire with the county, although they do not guarantee a job offer. They do not apply to promotions, transfers or reassignments. To claim veterans’ preference, please complete a preference form and attach your DD214 and, if applicable, the Department of Veterans Affairs letter stating your disability determination. Forms must be received before the closing date of the position you are applying for. Were awarded an Armed Forces Expeditionary Medal (AFEM). 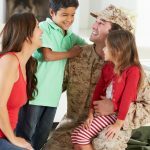 Additionally, if you are the spouse of a disabled veteran who is physically unable to qualify for public employment because of a service-connected disability, or if you are the widow(er) of a preference-eligible veteran and remain unmarried, you are eligible to receive veterans’ preference. For more information on veterans’ preference, check out the Feds Hire Vets VetGuide. Ada County provides Veteran’s Preference in accordance with Title 65, Chapter 5 of Idaho Code. Aggrieved veterans may appeal determinations of Veteran’s Preference by contacting Ada County Human Resources at 208-287-7123 or jobs@adacounty.id.gov.